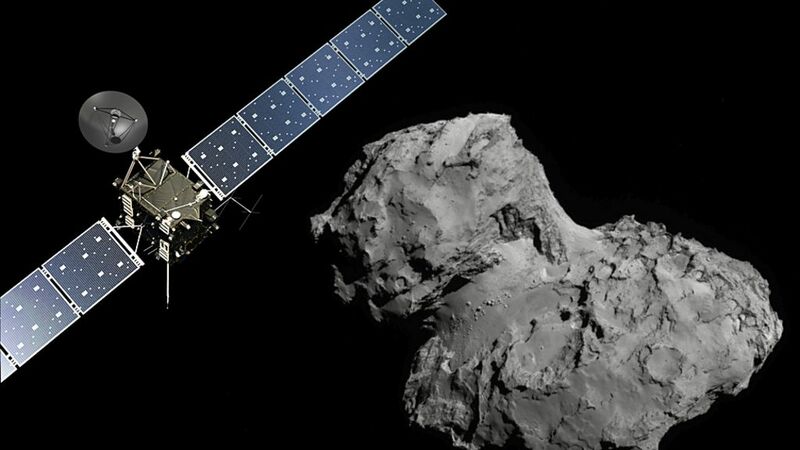 European Space Agency’s plucky little probe Rosetta has a date with destiny. On September 30, 2016 ESA mission control will intentionally crash land Rosetta on Comet 67P/Churyumov-Gerasimenko’s in the pits of Deir El-Medina. Located in the Ma’at region on 67P’s smaller lobe, the pits of Deir El-Medina haven’t an inkling of Rosetta’s upcoming assisted suicide. Measuring 100 meters wide and 50 meters deep, the pit was chosen as Rosetta’s resting place based on “active” eruptions of gaseous space dust. Rosetta’s forced death spiral will unfold with instruments blazing, her suicidal descent calculated to gather data elusive to orbital diligence alone. 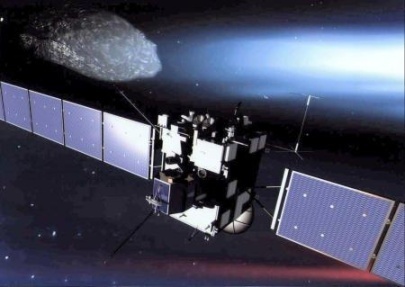 Launched in 2004 with a singular objective – catch comet 67P by August 2014, deploy a probe to the comet’s surface, then settle into observational orbit for two years. Since August 9, 2016 Rosetta has tightened her orbit around 67P, on September 24 her final fly-by could be within a kilometer of the surface. 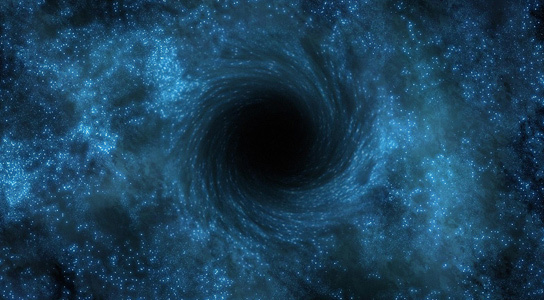 Over the following few days intricate maneuvers will facilitate elliptical orbit becoming a free fall trajectory. “This pioneering mission may be coming to an end, but it has certainly left its mark in the technical, scientific and public spheres as being one of outstanding success, with incredible achievements contributing to the current and future understanding of our Solar System,” adds Patrick Martin, ESA’s Rosetta mission manager. Linked below, the Rosetta blog – a collection of Rosetta’s legacy from the European Space Agency. Well worth a ponder. 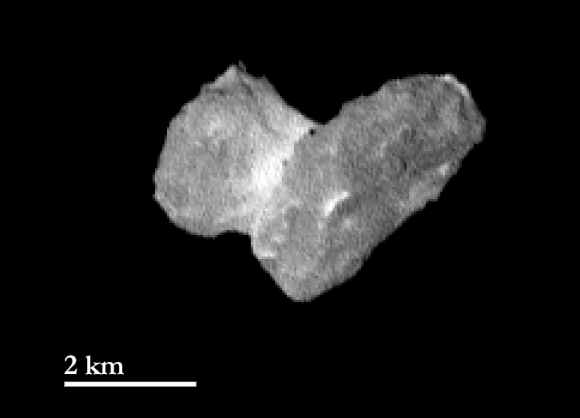 Taken from a distance less than 2000 kilometers, this tiny (3.5 x 4 Km.) space object is about to make history. In less than a week, following Close Approach Trajectory burns on August 3 and 6 – Rosetta will be traveling tandem at a distance of 100 Km. All leading up to November 11 when Rosetta deploys the Philae probe – a carefully planned landing of scientific instruments on a miniscule chunk of gas, dust and ice orbiting our Sun between Mars and Jupiter, at a distance of 544 million kilometers. A year from now, 67P’s orbit will take it within 185 million kilometers of the sun. Science understood timing is everything – Rosetta had to encounter 67P at exactly the right moment. Rosetta’s destiny set in stone long before the moment of countdown. A year from now and millions of kilometers closer to the sun – solar energy heated gases and melting ice will turn this polite little comet into an unpredictable, swollen renegade – science had an idea, made a plan, and knew the precise moment landing a probe on this distant Comet was possible. Ponder what it took to launch a satellite 10 years ago, calculate precise orbits of our planet and Mars using gravitational pull as a means of propulsion, toss in a 31 month “sleep”, wake Rosetta at precisely the right moment, initiate a series of controlled “burns” to slow and edge it closer to the surface, maneuver it until traveling in tandem – all geared towards 7 – 10 glorious days of data collected by landing a probe on the surface in November. Remarkable as Rosetta’s anticipated comet landing may be, well over 6000 active probes and satellites currently expand our understanding of the universe. Click this link for an eye opening lesson…. This link for Rosetta news…. My only wish is that I could be alive 50 years from now to witness our understanding of the cosmos. There’s no doubt in my mind it will turn conventional thinking on its head – who knows, it might just be Rosetta who unlocks the door. In March 2004, the European Space Agency launched Rosetta – the mission, to reach Comet 67P/Churyumov-Gerasimenko by August 2014, deploying a probe (dubbed Philae after an obelisk discovered on an island in the Nile leading to further unraveling of Egyptian writing and the Rosetta Stone) , one destined as the first to land on a comet surface. Comet 67P/ Churyumov-Gerasimenko travels around the Sun at approximately 800 million kilometers, on an orbit between Earth and Jupiter. 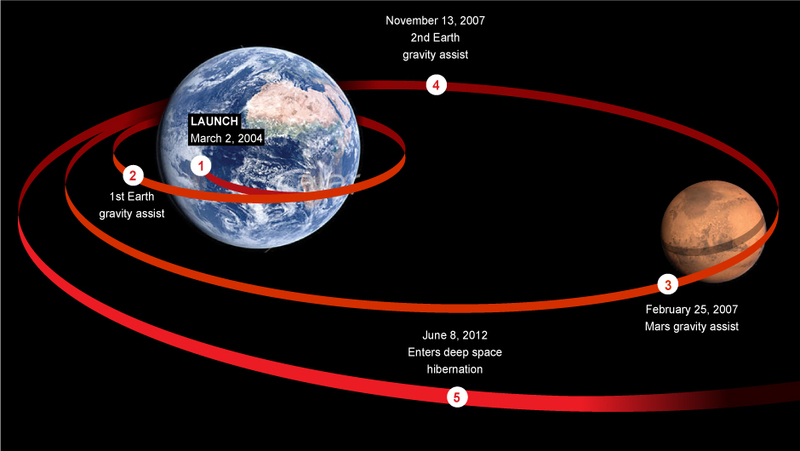 For Rosetta to make the journey, “gravity assists” (momentum from flybys of Mars in 2007, and Earth in 2005, 2007 and 2009) explain the 10 years and over 6 billion kilometers Rosetta travels before reaching her destination. Recently woken from a 31 month slumber, Rosetta sent extraordinary pictures on July 14 indicating the comet might be a binary system (one with two nucleus orbiting each other). On July 24, more pictures will be released following a “FAT burn” (far approach trajectory) adjustment to slow Rosetta down. “CAT burns” (close approach trajectory) on August 3 and 6 will place Rosetta 100 kilometers from the comet surface, traveling in polite unison. Months of August and September bring another “burn” taking Rosetta within 70 kilometers of the surface. 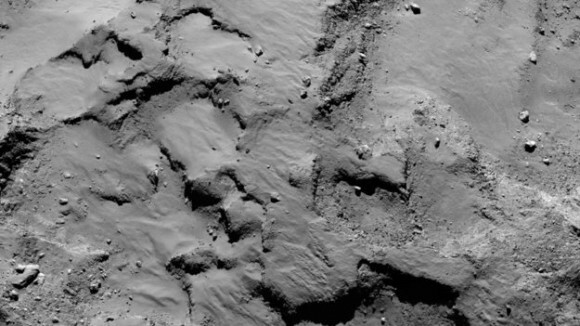 October will find Rosetta within 5 kilometers of the surface, looking for a place to land Philae. Possibly a few days one way or the other, November 11, 2014 Philae will separate from Rosetta, land on the comet surface, deploying anchors to keep it in place. For the next 7 days, a few more if we’re lucky, Philae will sample gases, water, ice, mineral composition – all while taking close up and panoramic pictures of the surface. Ponder a unmanned space probe using gravitational support and a whole lot of ingenuity to journey 6 billion kilometers in 10 years – all for the prize of a week or so on the surface of a distant comet. If that doesn’t blow your mind, or at very least pass a “holy crap” through your head – I give up.